Contrary to popular belief the United States has never really used the gold standard as a monetary system. At different times all throughout the history of the U.S. there has been many different monetary systems using different precious metal standards. Franklin D. Roosevelt and Richard Nixon seem to be the two presidents that have had the biggest effect on how the U.S. monetary system works. Shortly before and during the great depression the U.S. was using a fixed amount of gold to back up the U.S. dollar. For every 20 dollars in paper money, the Federal Reserve had a one once gold bullion coin called a "United States 20 dollar double eagle". If someone did not trust paper money they could have the banks give them a gold or silver bullion coin instead of paper money. The paper used to make U.S. money is manufactured in Western Massachusetts. In 1934 congress gave President Roosevelt the power to manipulate the amount of gold backing the U.S. dollar. This was done to keep the U.S. from ever going into a depression again, the tradeoff would be inflation and the government was well aware of this based on history. 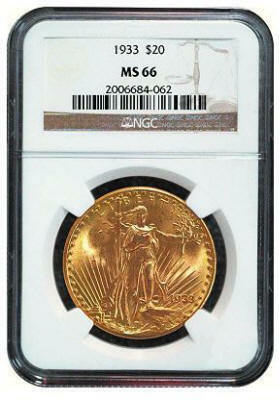 The government removed all gold bullion coins from circulation in 1934. In 1971 silver was finally removed from U.S. coins. In 2009 bitcoins were developed by Satoshi Nakamoto. When 1971 rolled around the U.S. dollar had become so devaluated that President Nixon completely took it off the so called gold standard. Many people think this was a bad thing to do - he may have not had a choice based on what Roosevelt and Congress started in 1934. Right now the U.S. dollar is backed by whatever the Federal Reserve has in assets, there is gold along with a lot of other things like U.S. oil reserves. The public does not know how much gold is in the reserves, the Feds keep it secret for national security. If all of a sudden someone figured out how to make real fake gold or there was a hug gold discovery, gold would become worthless overnight, maybe this is a good system we have? Technically all the land in the United States belongs to the federal government. No one person can own land, people can only lease land from the government through a deed and rent is collected in form of a property tax. No country in the world has as much in assets as the USA, making it the richest country in the world and making the U.S. dollar the most preferred currency. History has shown us this can change very quickly, not that much time has passed since 1971, it is up to the citizens of the USA to be well diversified. There is absolutely no telling what the dollar will be worth tomorrow or if there will be a significant change to it. People that are financially well diversified in real estate, precious metals and etcetera are the ones that have the least to worry about. Understanding what money is and how it works helps me manage it better. When the Federal Reserve collects more from the banks than it leads to them will cause a recession. Every five or so years the Federal Reserve has to play ketch up with balancing the books. This is like collecting all the money that people owe you all at once and then nobody has any money.